Below average temperatures and widespread frost at night will replace the milder weather of recent days, forecasters said. The mercury could climb to as high as 19C or 20C in the south east of England on Monday, but the balmy conditions will be short-lived. 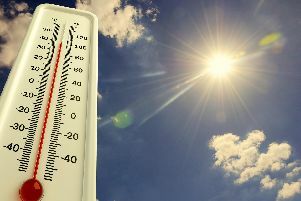 Met Officer forecaster Bonnie Diamond said: "After what was a generally mild weekend and today being warm in some parts, the temperatures are just going to take a tumble again." Ms Diamond said it will be quite cloudy and showery in the south and south west on Tuesday. "It is going to feel much cooler than what today will feel," she said on Monday, adding: "Because it's from an Arctic source, it's going to introduce cooler temperatures to the country as we go through Tuesday and into Wednesday." Maximum temperatures on Tuesday will be 12C or 13C, which is around average for this time of year. "But by the time we get to Wednesday, temperatures are going to be quite cool, especially in the north and eastern parts of the UK. 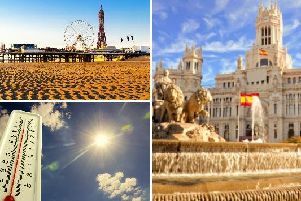 "And possibly even below average for the time of year, with some places seeing temperatures in the single figures by day," Ms Diamond said. She said there will be plenty of dry, sunny weather, but temperatures will be "noticeably cooler". On Wednesday, there will be highs of 9C in Scotland and 11C in Newcastle. Ms Diamond said clear skies at night will result in a widespread frost from Wednesday.